Some suggestions for the best present ever! All photos from the MLS listing and are property of RAM. Top row goodness. 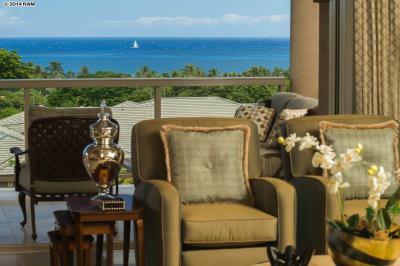 Hoolei offers an amazing lifestyle – luxury, luxury, luxury – in every direction you look. 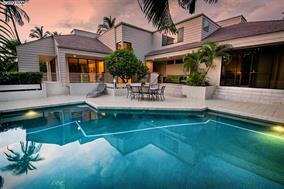 Use this as a second home – or vacation rent your property – where there are several different options. Regardless, the time you spend here will be unmatched. Everything you could want in your next home is right here. 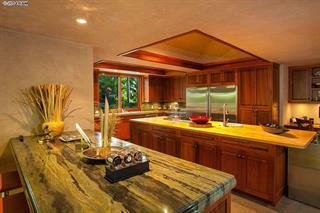 Views of 3 islands, dramatic finishes, and room for everyone. Do you have a chef in your family? This kitchen will make them smile! Beautiful yard, pool, and tiki torches to light at sunset…Enjoy! 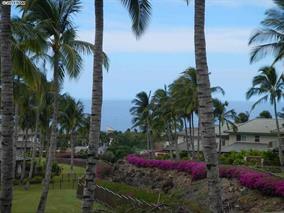 Kai Malu is a wonderful residential community in Wailea. This unit comes with its own plunge pool and your maintenance fee includes the pool care for your personal pool and spa, not to mention the amazing pool at the pavilion. On the green way with a nice ocean view from the upstairs master. 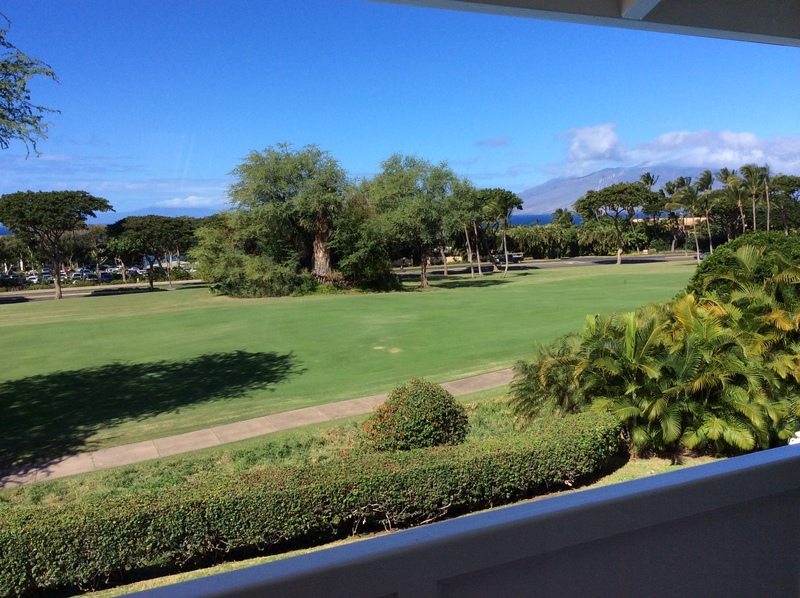 Wailea Palms – vacation rentable with a view! 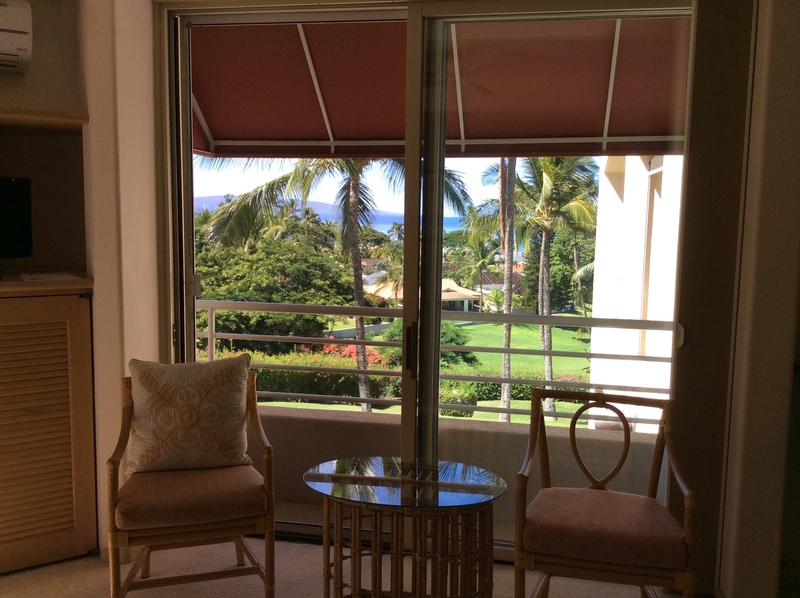 Enjoy being walking distance to Keawakapu Beach and the Wailea lifestyle. All fresh and ready for you! 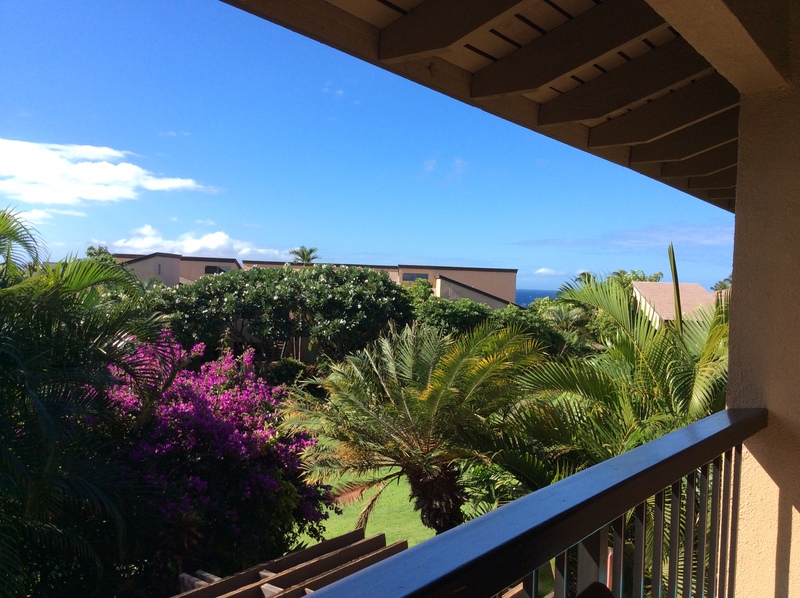 This sweet 2 bedroom, 2 bath upstairs unit has some of the best Wailea views imaginable. Split A/C units allow you to cool down when and where you need to. 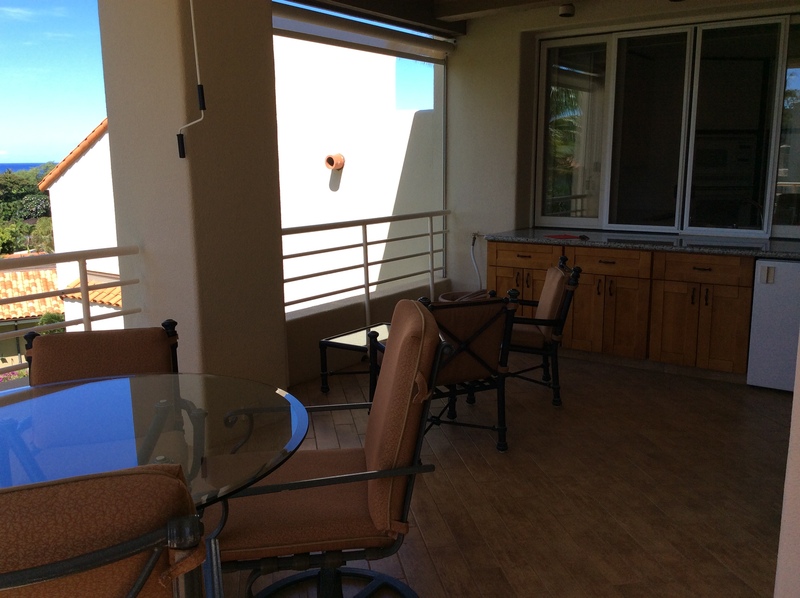 BBQ area, pool, and fitness center nearby! 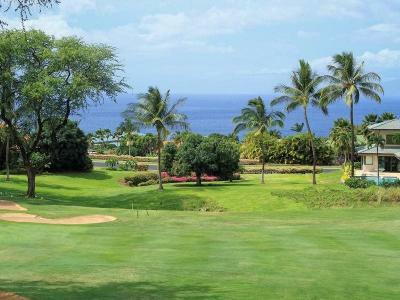 If you are looking for a 3 bedroom, 3 bath end unit condo with views across the Old Blue Golf Course all the way down to the Pacific Ocean – for under $1 million – you can stop looking. 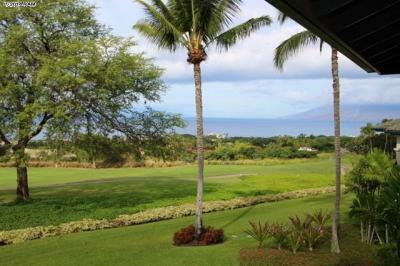 Wailea Fairway Villas is a residential community with a pool, gym, fruit trees, and views in every direction. Thanks for reading! 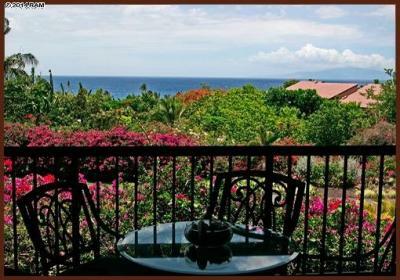 I look forward to assisting you in the search for your place on Maui. This entry was posted in Uncategorized on December 18, 2014 by nancyulin. 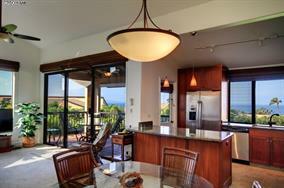 This week the Wailea Caravan highlights two Wailea Ekahi condos and two homes in Wailea Fairway Estates. 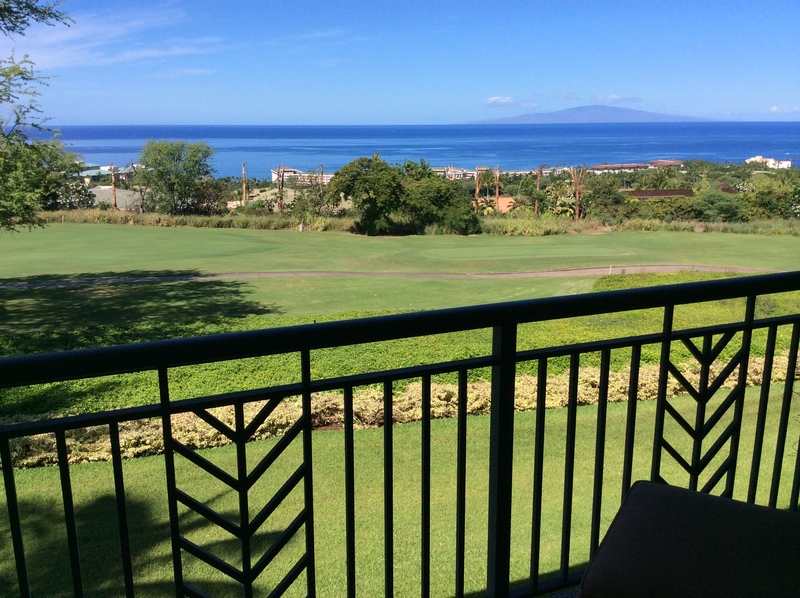 With a view that is hard to beat, this Wailea Ekahi unit is steps to the Pacific Ocean. Enjoy your family and friends during this special time of year! 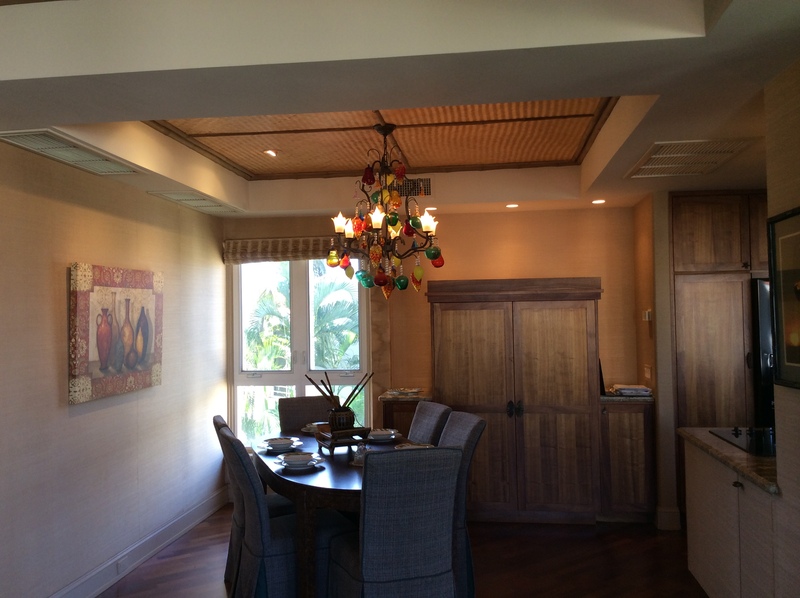 This entry was posted in Caravan, Uncategorized and tagged Maui Real Estate, Maui Vacation Condos, Wailea Ekahi, Wailea homes on December 2, 2014 by nancyulin. Today was full of fun – and lots of different options! Let’s start with the homes. 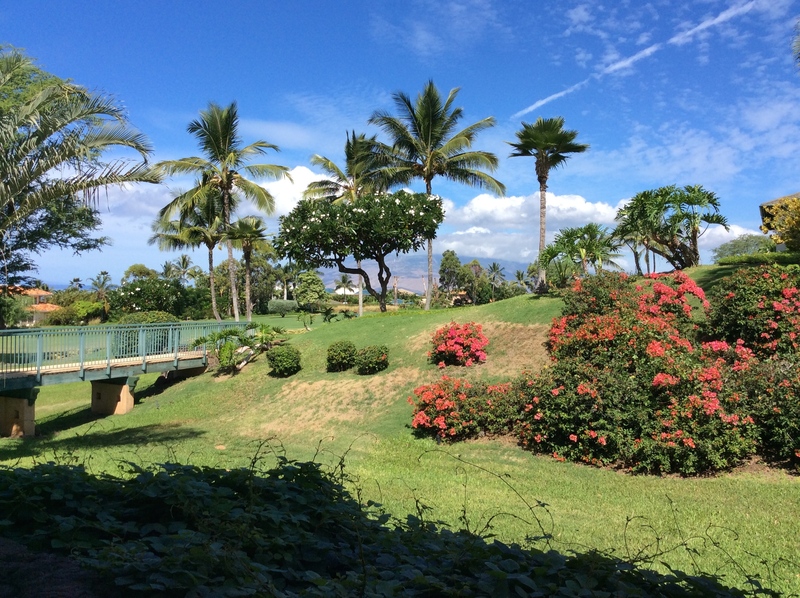 Maui Meadows Garden! 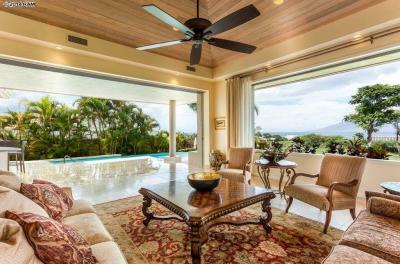 Fruit trees galore – this beautiful home offers a unique perspective on indoor/outdoor living with the use of screened lanais. 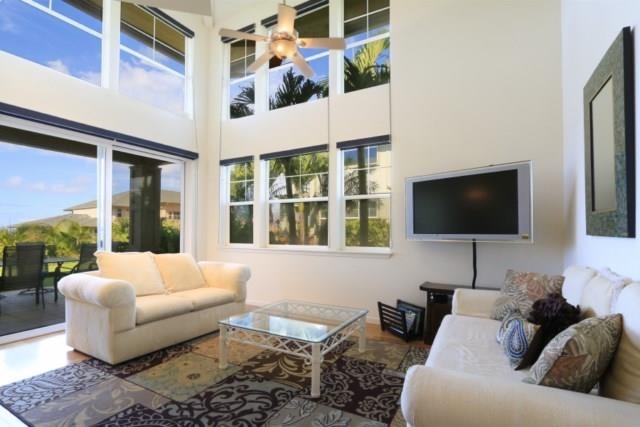 A favorite floor plans, and you are right across the street from the Kam Beaches. Hmmm….Talk to your friends and family – these are next door to each other! Hope you enjoyed the tour and mahalo for reading! 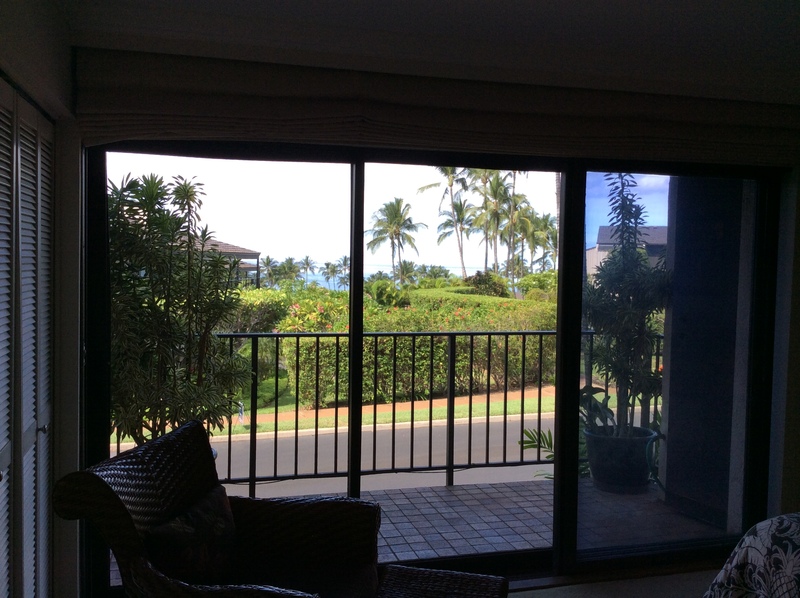 This entry was posted in Caravan, Uncategorized and tagged Maui Real Estate, Maui Vacation Condos, South Kihei on November 18, 2014 by nancyulin. 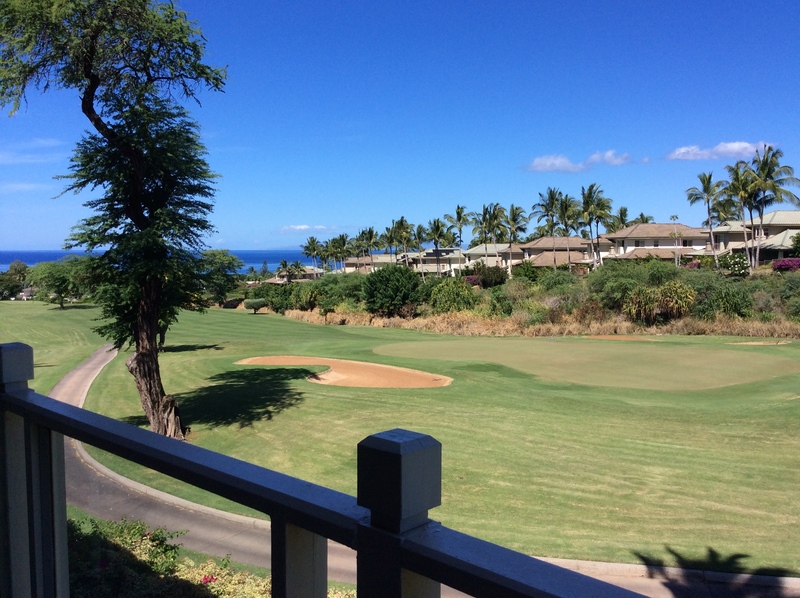 One of my favorite days is the Wailea Caravan Tour! 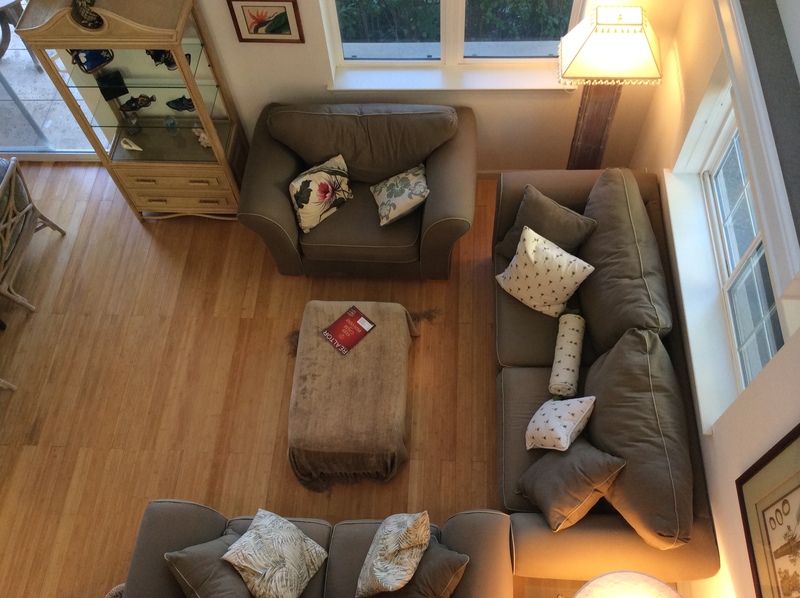 Today was bundled into twos: two homes, two vacation rental condos, two residential condos. So, let’s get started with my review. 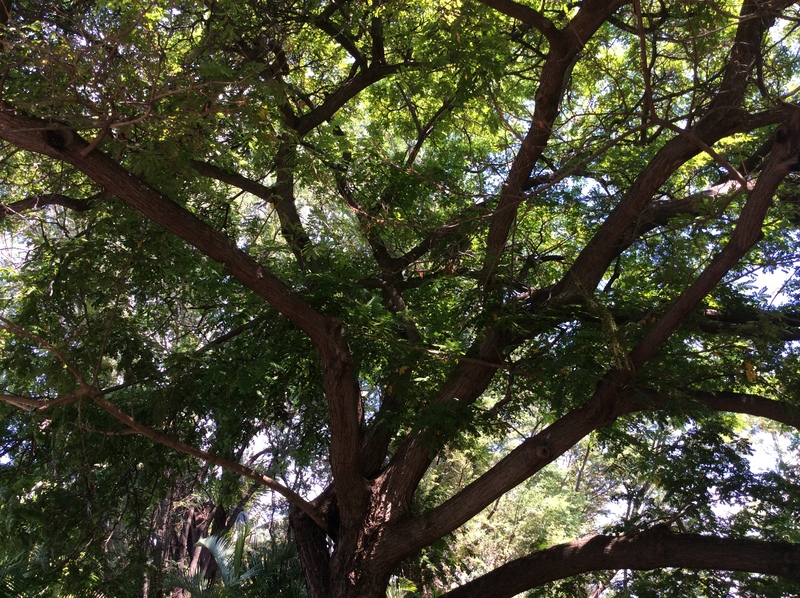 But first, I had to pull over on the way – it is so beautiful here. 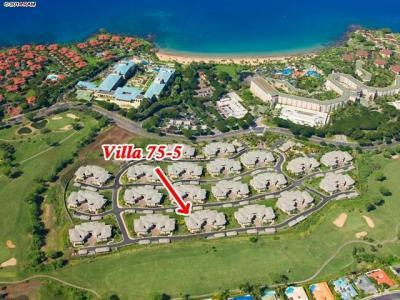 You can’t beat this price point for a home in Wailea. 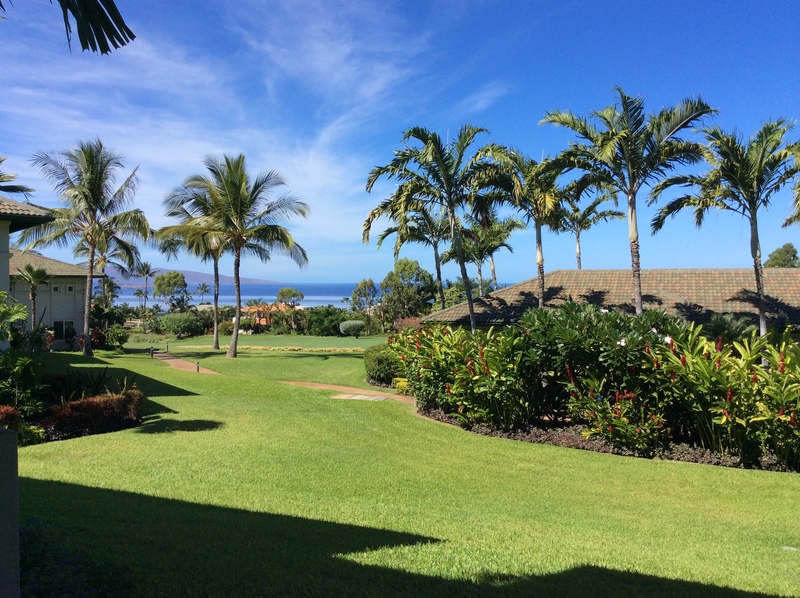 Kanani Wailea is a condominiumized home set-up, so your monthly fee takes care of the pool, gym, landscaping, and exterior maintenance. Located at the top of the complex, you will hear traffic noise from the Piilani Highway when you are standing outside, but the moment you step inside, the quality construction eliminates the noise. And there is a sweet ocean view from the master bedroom. Solar panels keep your electric bill low. 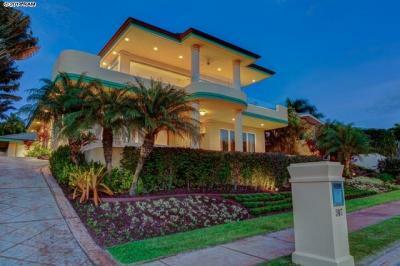 Priced to sell at $925,000! If you are seeking a Golf Vista home with an outstanding home office – with a view – take a look at this beauty. Wide open space is the great feeling you get here – in every room. 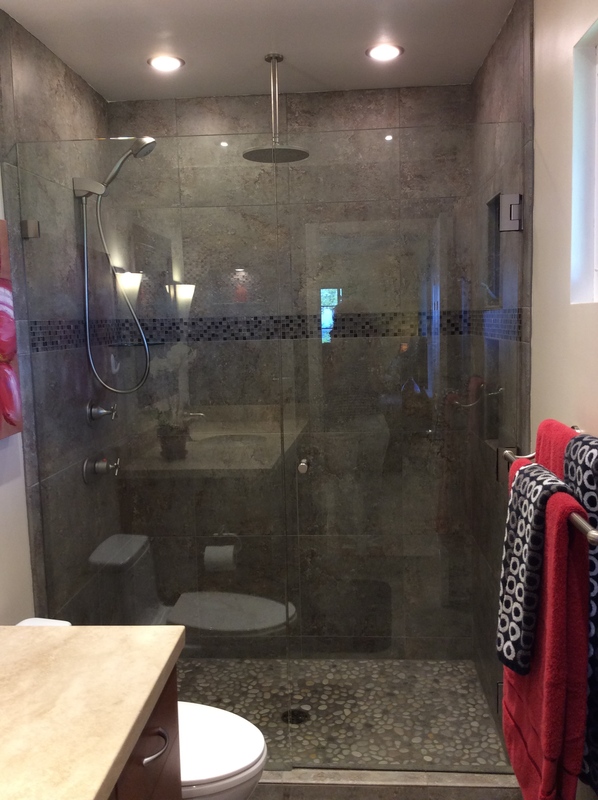 Handicap accessible with an elevator for easy access to each level, even the master bath has a shower that you could wheel inside effortlessly. This property has obtained permits and approval to build an infinity pool that overlooks the 1st tee box of the Old Blue Golf Course. 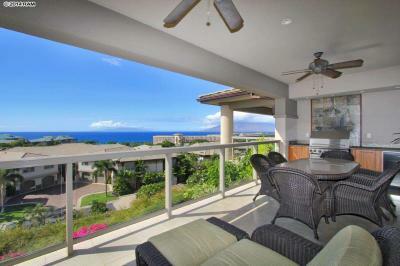 Wailea Elua Unit 2109 MLS361960 List Price: $1,699,000 for 2B/2B with 1536 sq.ft. 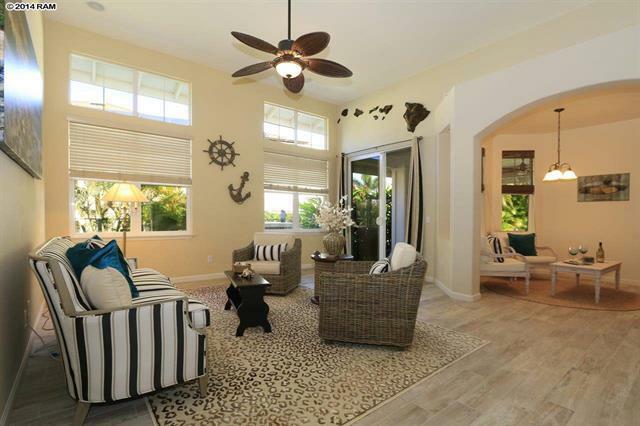 Enter through the gate, turn left, drive to the end unit on your left and you have arrived at a very private vacation rentable Elua unit with a double garage to store all your ocean toys. 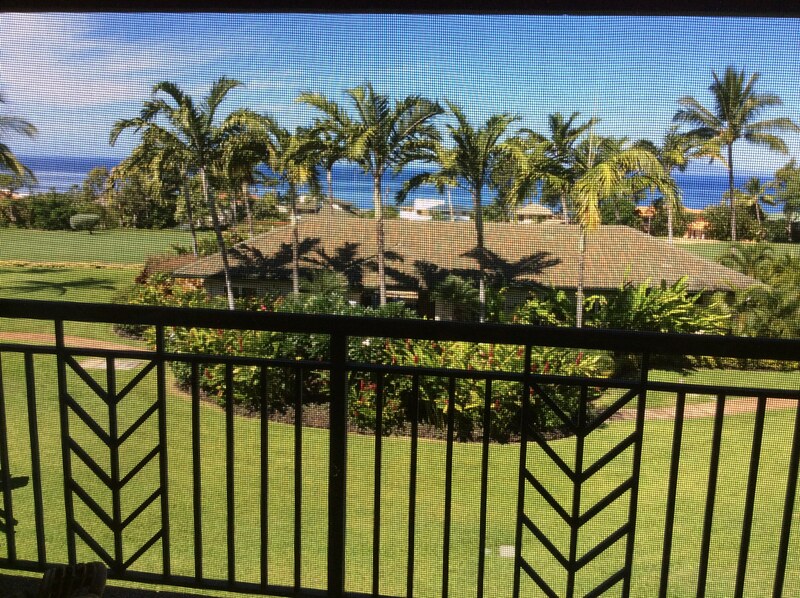 Some of the special highlights of this unit are the ocean view lanai that you can step out on from the living area as well as the master bedroom. 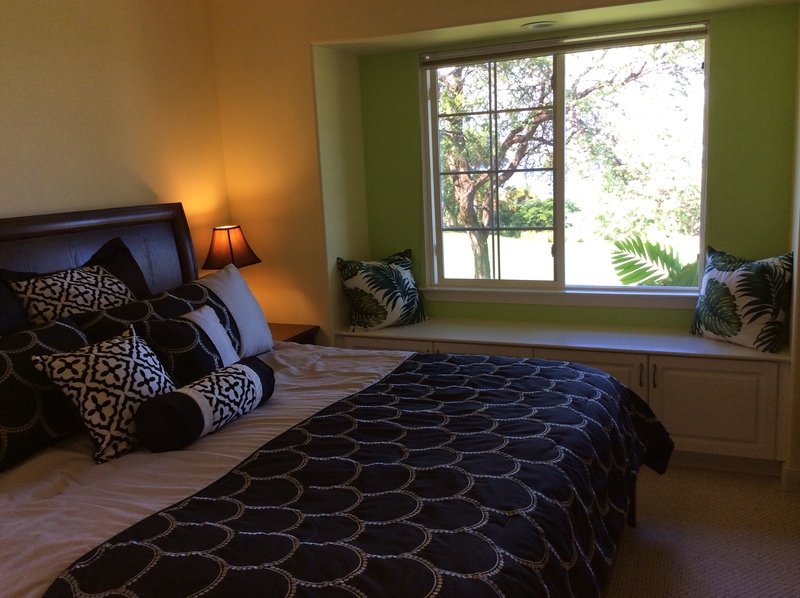 The second bedroom has a tropical garden view with palm fronds dangling. 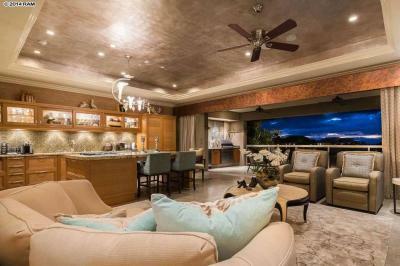 Love the easy care travertine floors. 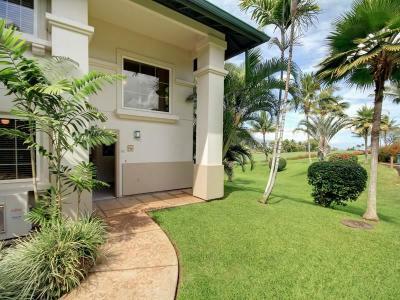 There is another lanai off the dining room area and a grassy semi-private yard to frolic in. I would be happy to send you a video of this unit, as well as the rental history – just let me know! 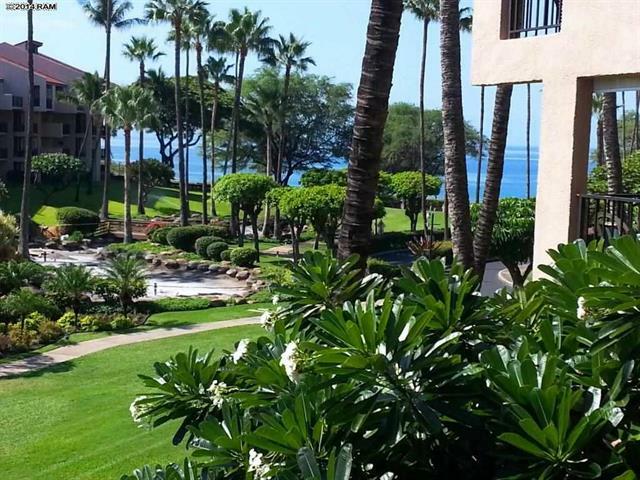 Literally steps from the ocean side pool and Keawakapu Beach, this 1 bedroom unit is located in the lower village of the ocean front Ekahi complex. 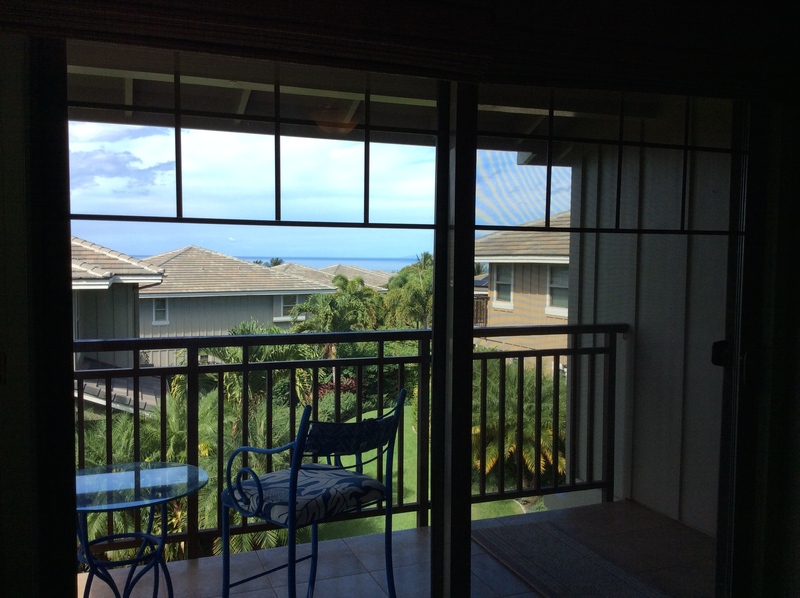 The floor plan parallels the ocean and there is a peek-a-boo view from the lanai. 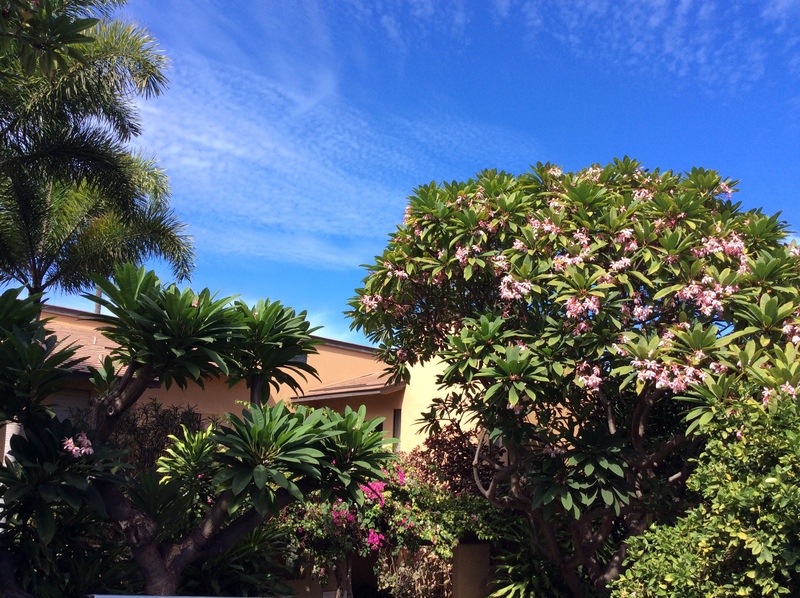 There is a sweet grassy area off the lanai and the topical bougainvillea and fragrant plumeria constantly remind you that you are in Hawaii! 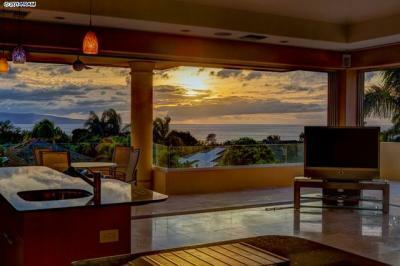 This unit is vacation rentable and I would be happy to send you the rental history. 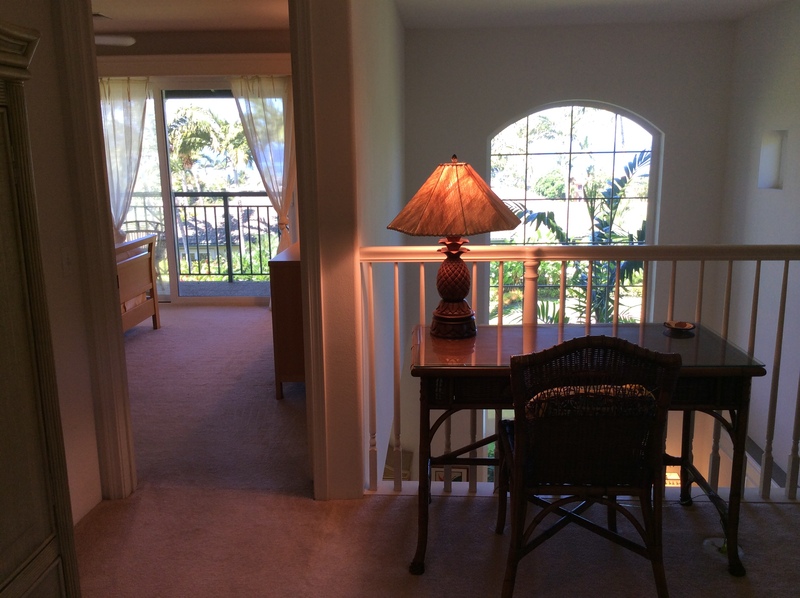 The P Building is a great location – close to the pool, club house, and gym – and let me mention the outstanding view. This is being offered turn-key, fully furnished which make it perfectly easy for the new owners. The 2nd story location only enhances the view. Did I mention the view already? A nice residential complex, this unit has been well-maintained. Located in the V Building, the ground floor location looks out over the golf course. 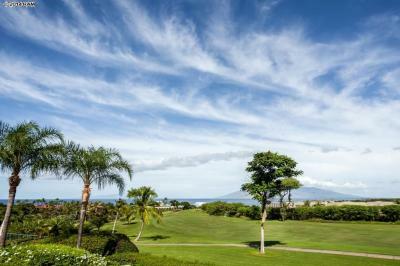 Carefree living in the resort community of Wailea. Thanks for reading! 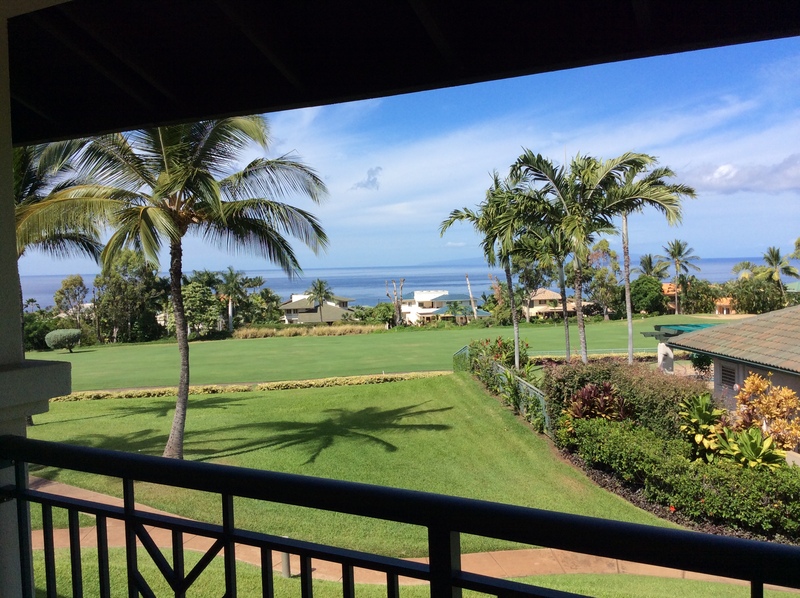 I would be happy to assist you in your search for Maui Real Estate. 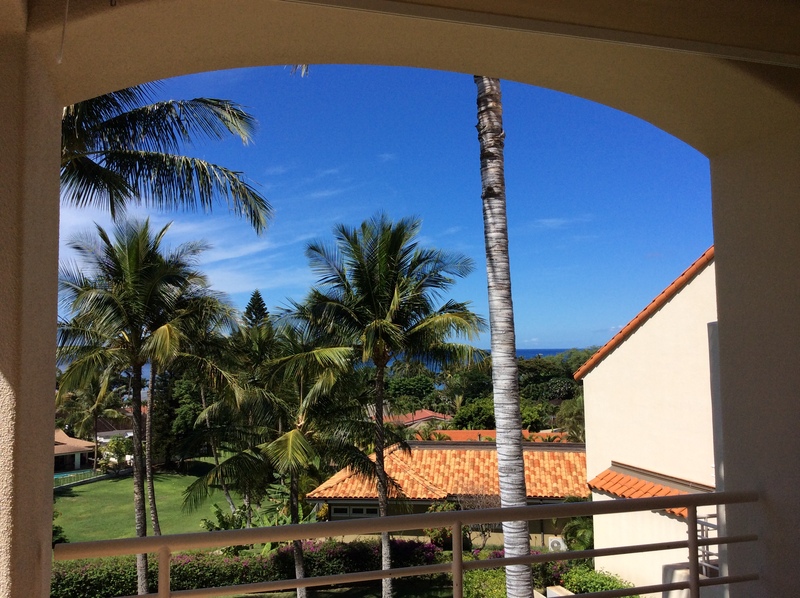 This entry was posted in Caravan and tagged Maui Real Estate, Maui Realtor's Caravan, The Realtors Association, Vacation Rental Condos, Wailea, Wailea condos, Wailea Ekahi, Wailea Fairway Villas, Wailea homes, Wailea Residential Condos on October 14, 2014 by nancyulin. I love to share my thoughts as new properties come on the market! 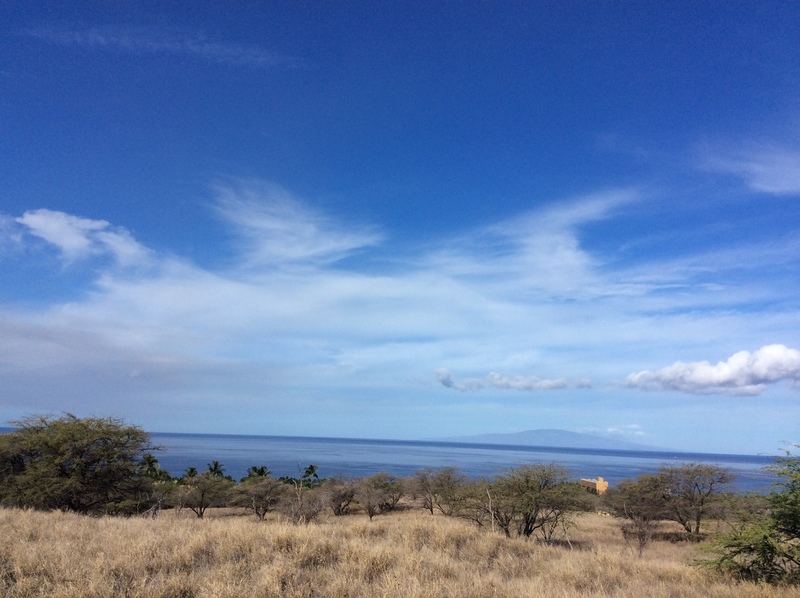 For those of you who are just discovering my blog, and who love South Maui, here is a quick review of the physical boundaries that define South Kihei – Lipoa, Piilani Highway, Kilohana, and the Pacific Ocean. First Stop – 147 Moana Avenue, Listed at $920,000, 2162 sq. ft. Brand new and ready for you! 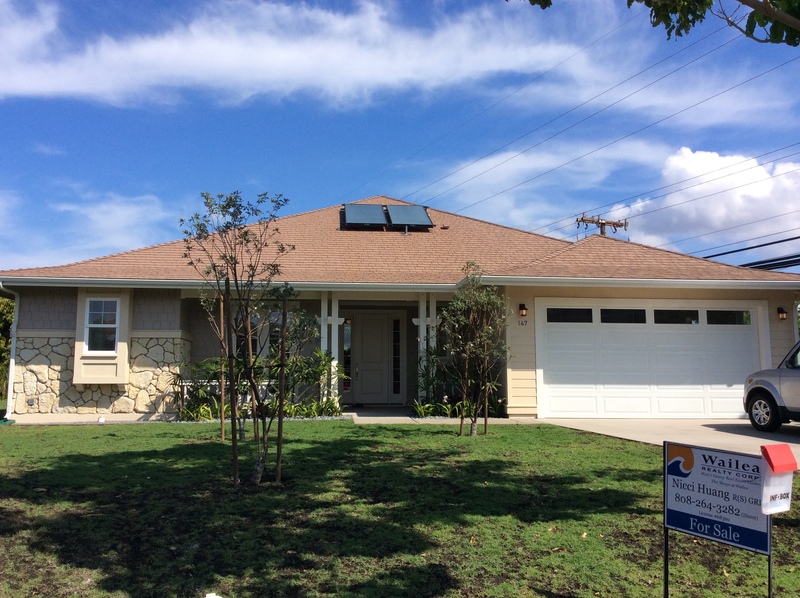 Moana Estates is a great neighborhood. Your new home comes with landscaping in place. Single level living, 4 bedrooms, 3.5 baths, GE Profile appliances, and the builder’s limited 10-year Warranty. Move in and enjoy the next chapter of your life! 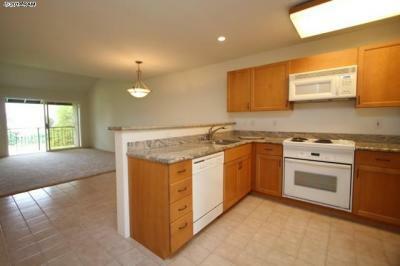 Want a Ground floor, corner unit, directly across the street from the Kam Beaches and the playground? This unit feels like a breath of fresh air and with the back door open, a sweet trade blows and cools everything. Very nicely upgraded. 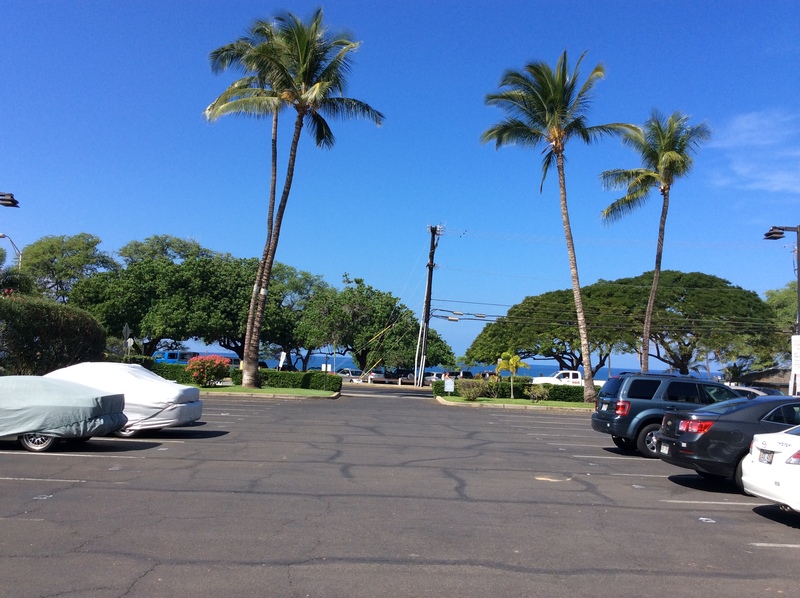 Maui Parkshore is a popular destination. 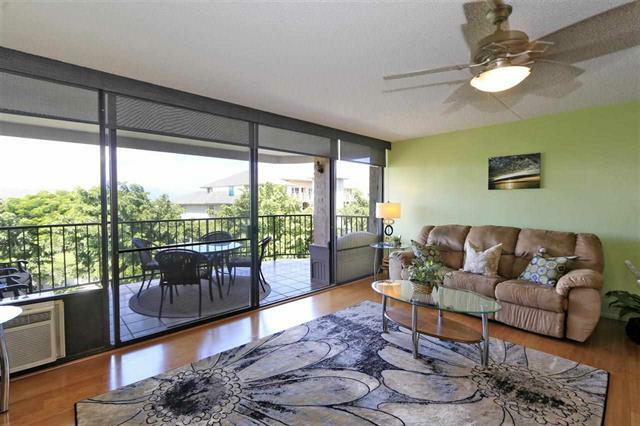 Then – Maui Kamaole Unit B115, 2777 S. Kihei Rd. 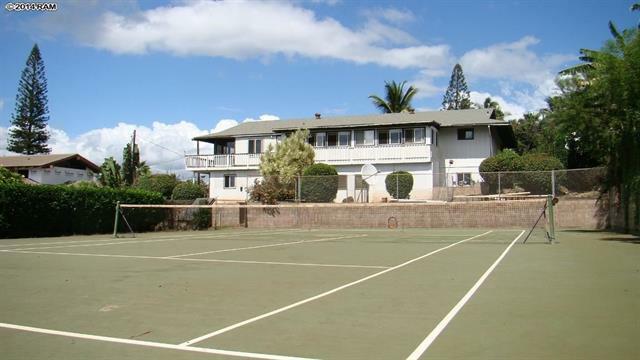 849 sq ft, 1b/2b, List Price is $569,900 Maintenance Fee is $568/month and this is a Vacation Rentable Complex. 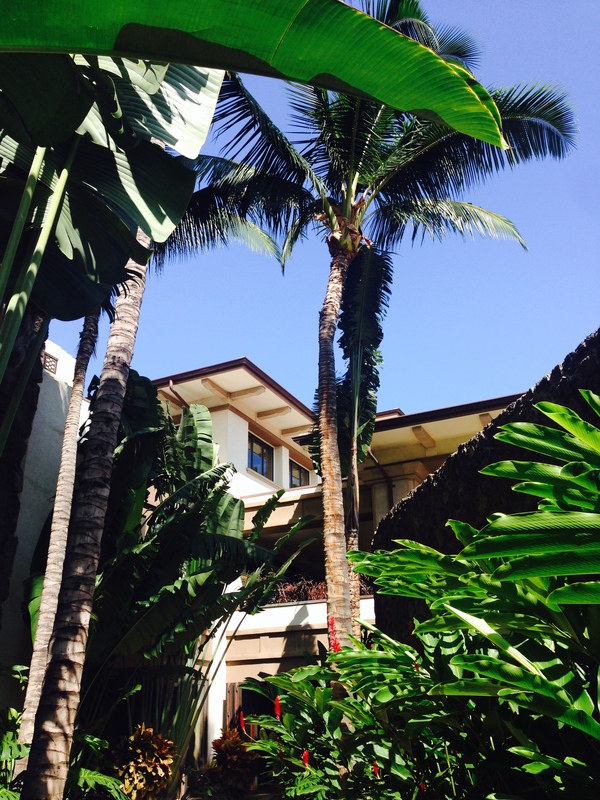 Building B sits in a great spot – close to the pool and away from the road noise. 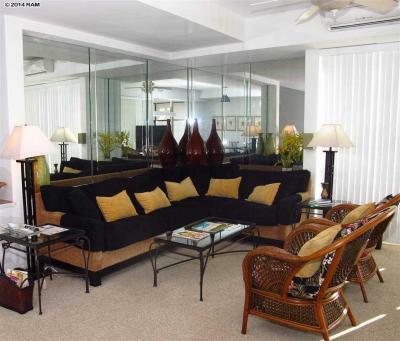 Very nicely finished and furnished, this vacation rentable unit would be equally nice as a residence. You decide. 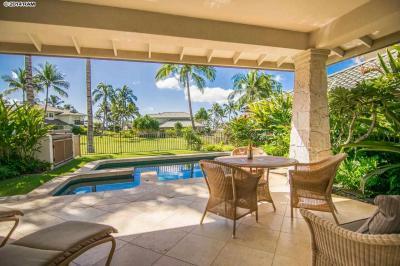 The lanai is inviting and tiled with the same travertine as the living area and you enjoy a bit of a view. The bedroom has dark statement flooring and a private lanai. 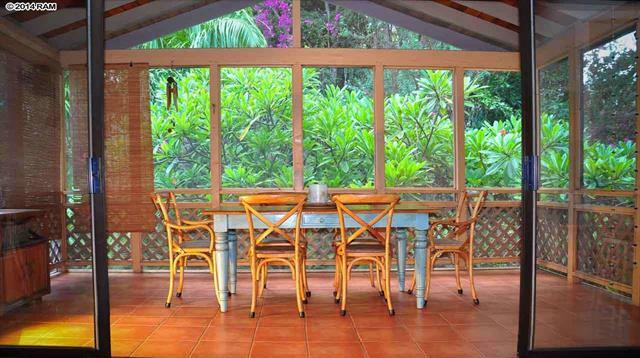 Pet friendly and vacation rentable – this might be what you need. 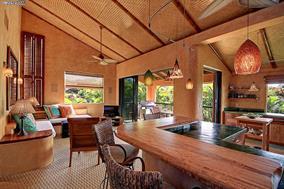 Maui Banyan is located in such an ideal spot – across from the Kam Beaches and walking distance to food and fun. The listing agent shares that this unit has been “heavily booked and managed by Aston,” allowing a seamless transition for new owners. The unit has lock-off capability for the owners to leave personal items. Take the elevator up to the top floor and enjoy this view! 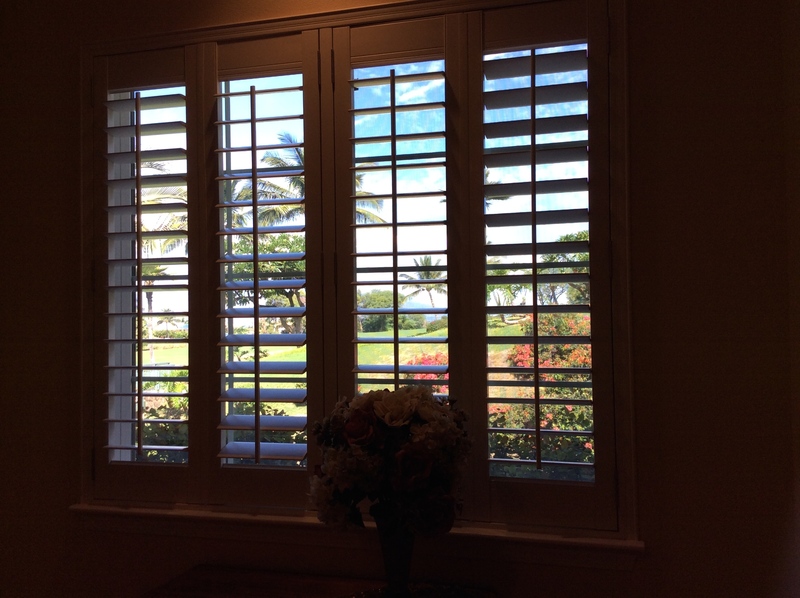 One of the bedrooms is loft-style with sliding shutters when guests want privacy – or open they enjoy this same view. The location allows for an easy stroll to the ocean and all the fun. This unit is now pending. 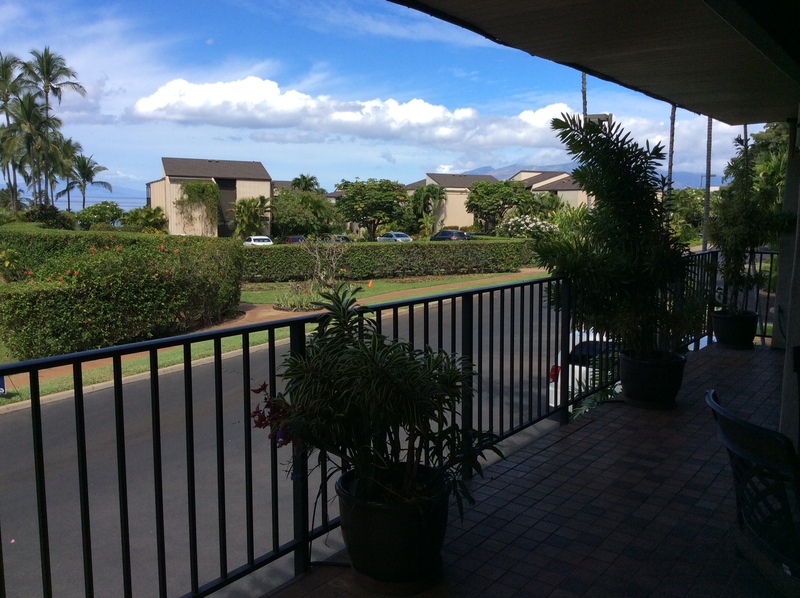 Halama Street is an established residential area with lush, mature landscaping, family compounds, and a few condos. This remodeled home possesses a large living room, open kitchen, 3 bedroom, 3 baths and a grassy lawn that rolls down to the beach. 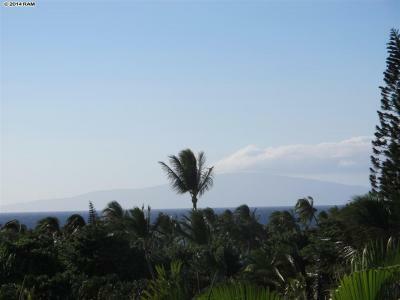 Compare ocean front property prices and you will know that this is priced to sell. Thanks for reading! If you would like more information on any of these properties, please let me know. It would be my pleasure to assist you! 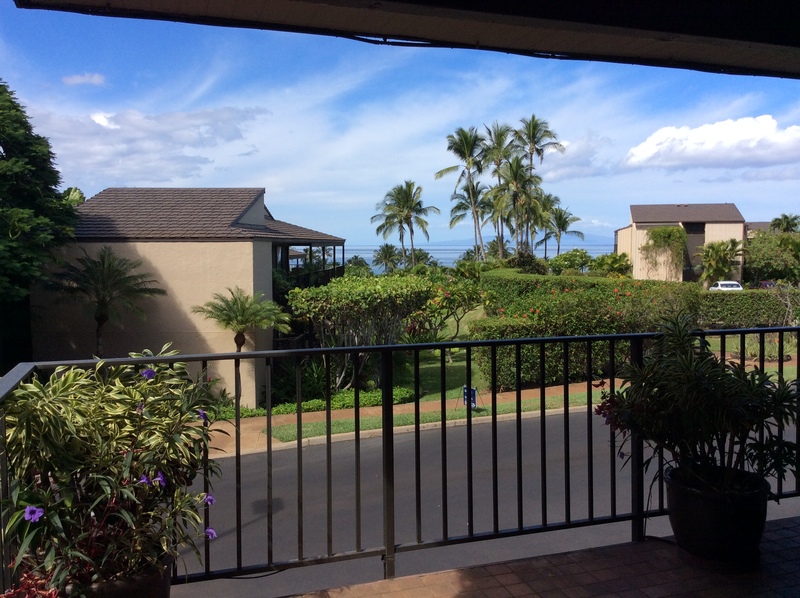 This entry was posted in Caravan, Uncategorized and tagged Caravan, Halama Street, Maui, Maui Banyan, Maui Kamaole, Maui Parkshore, Maui Real Estate, Maui Realtor's Caravan, Maui Vacation Condos, Maui Vista, South Kihei on October 8, 2014 by nancyulin. 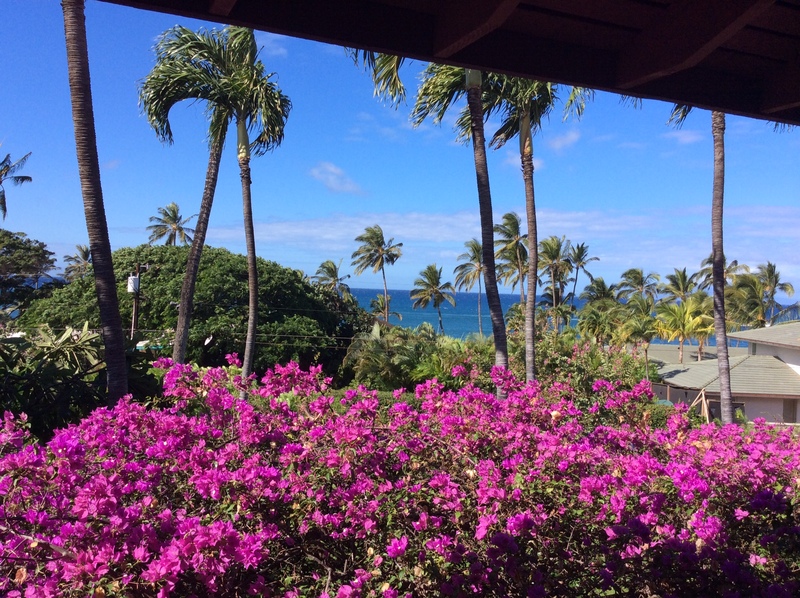 An absolutely glorious day in Wailea. If you are considering a condo, today’s caravan highlighted some delightful properties with amazing VIEWS. I did not make it to every listing, but I wanted to share the views with you. 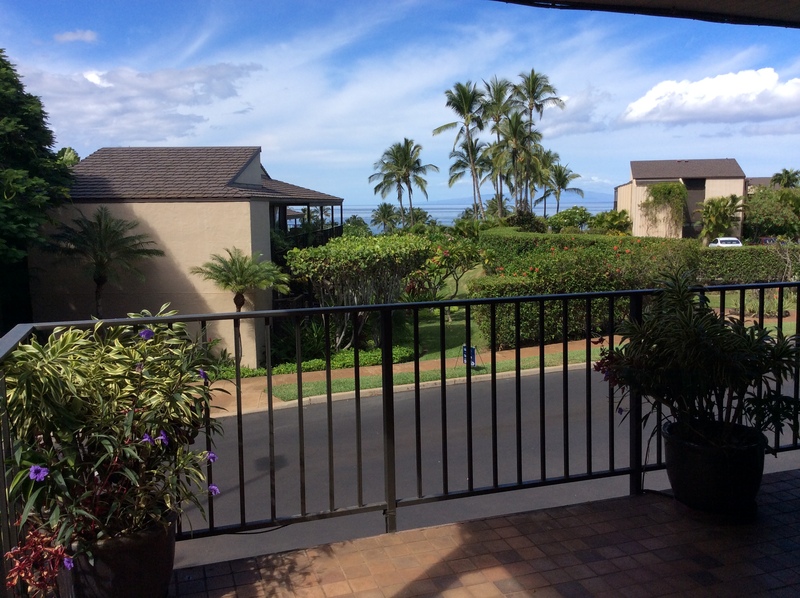 Oh, and on Sunday of this week, I had the opportunity to preview an outstanding listing in the Penthouse Building of the Wailea Beach Villa complex. I would love to show you this outstanding, private, secure and incredible unit. Click here. 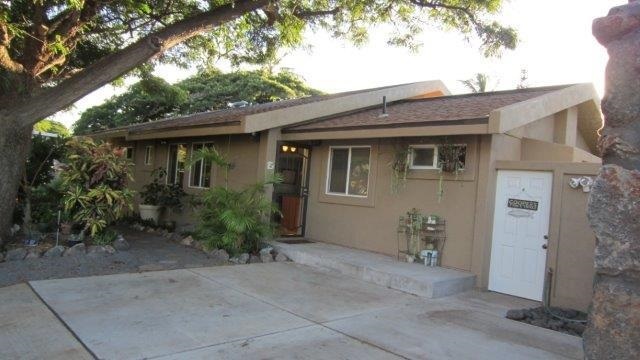 3950 Kalai Waa Street – 2bedroom/2bath – 949sq. ft.
Upstairs in the quiet E building of this residential complex, you will find an incredibly attractive unit with melt-your-heart views from the living area as well as the master bedroom. 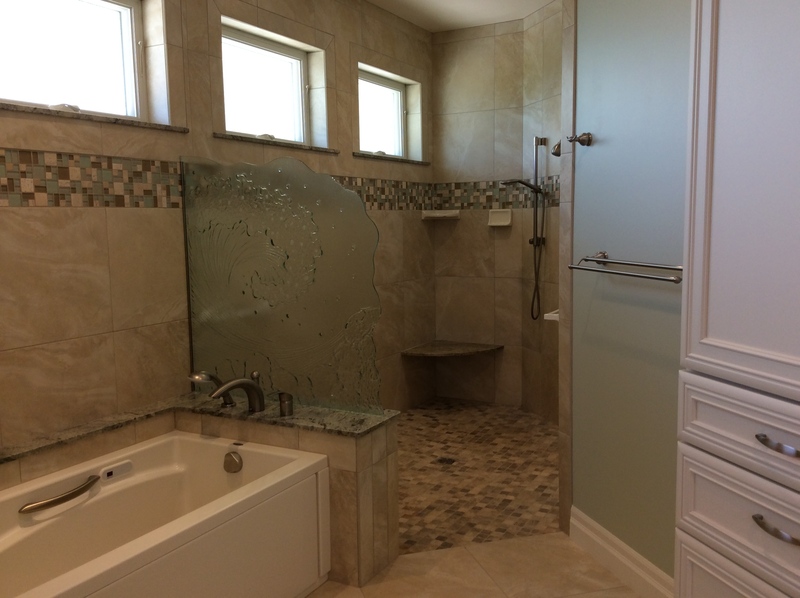 Bonus: the master bath is divinely renovated. In fact, everything has been polished and shined. Classy. Call me. 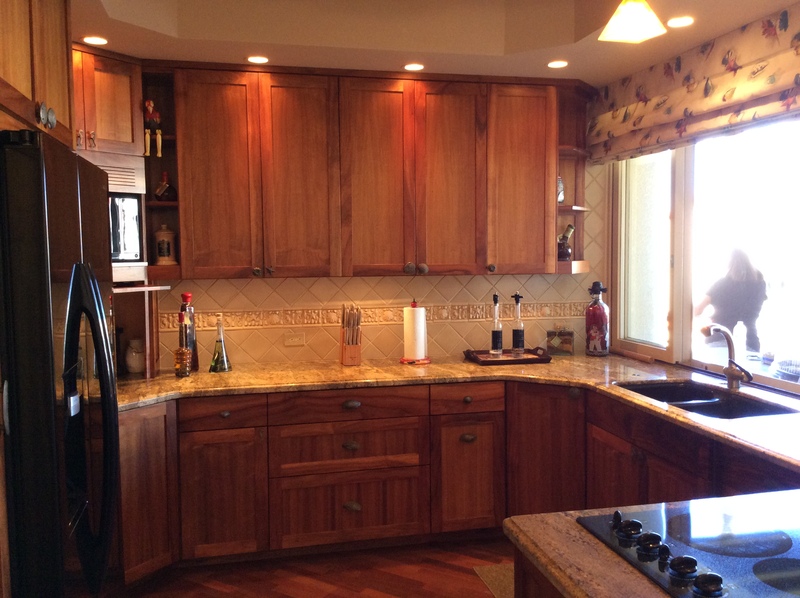 3950 Kalai Waa Street – 3 bedrooms/3baths 1568 sq.ft. Need a bit more room and already furnished? Fall in love with this beauty! The upstairs mezzanine even has a sweet day bed for an extra sleeping spot. Bring the family. The pool and gym are located right across the grass! 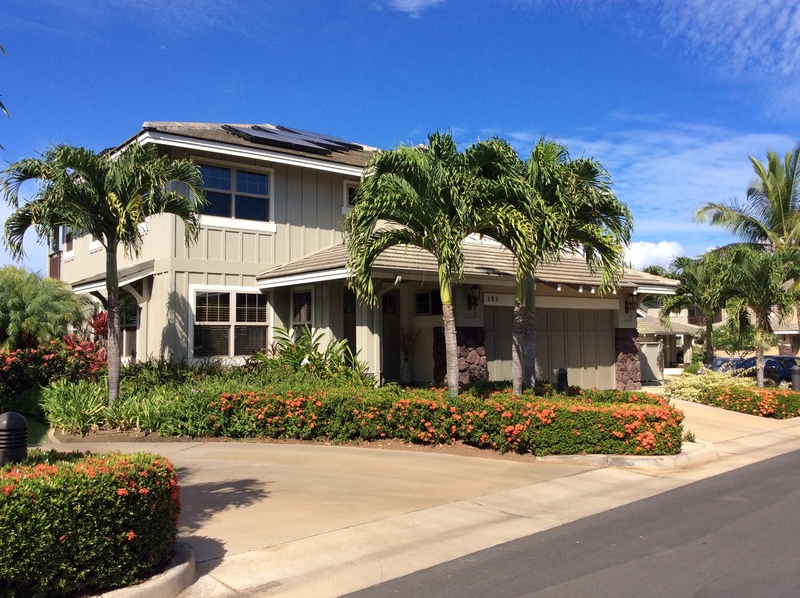 155 Wailea Ike Place – 2 bedrooms/2 baths – 1056 sq.ft. Top of the complex and overlooking #7 green of Old Blue, this upstairs unit has been beautifully maintained. 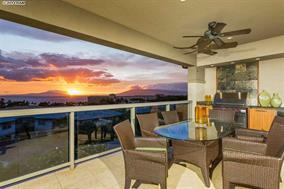 This is a vacation rentable complex and this unit is one that has a strong rental history – and now you know why! 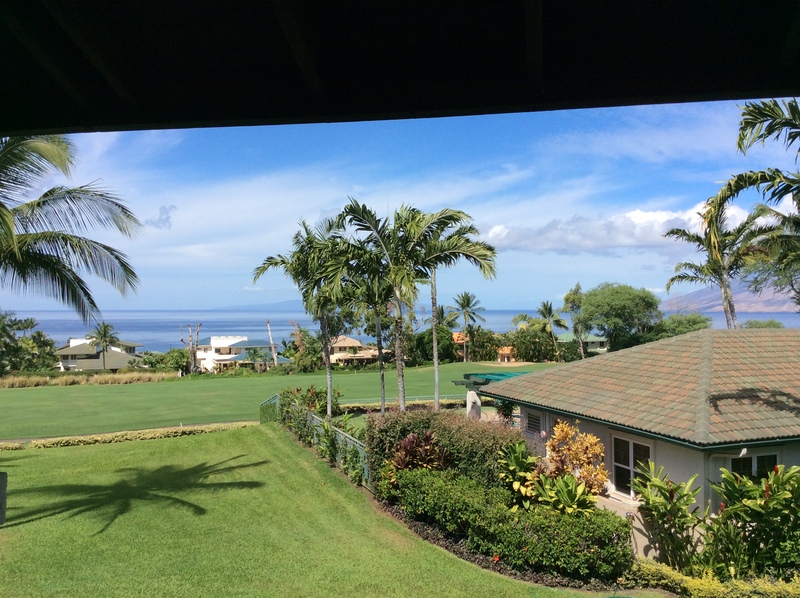 3150 Wailea Alanui – 2 bedrooms/3 baths – 1559 sq. ft. Your first thought upon entering this unit: “I have been magically transported to Bali!” Exquisite, artistic, and meticulous – everything in this unit has been carefully considered, planned, and executed. Please click on the listing to enjoy the professional pictures. Pack your suitcase! 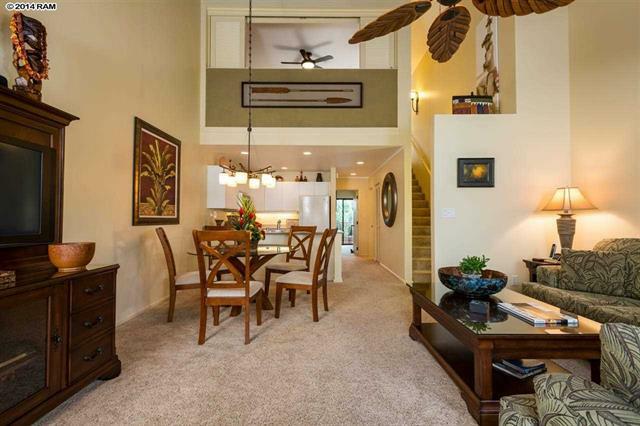 You will want to live here in this residential community. 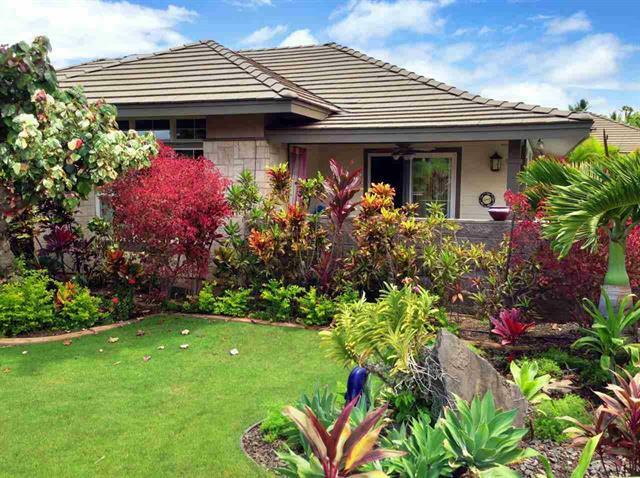 3150 Wailea Alanui Drive – 2 bedrooms/3 baths – 1559 sq. ft. 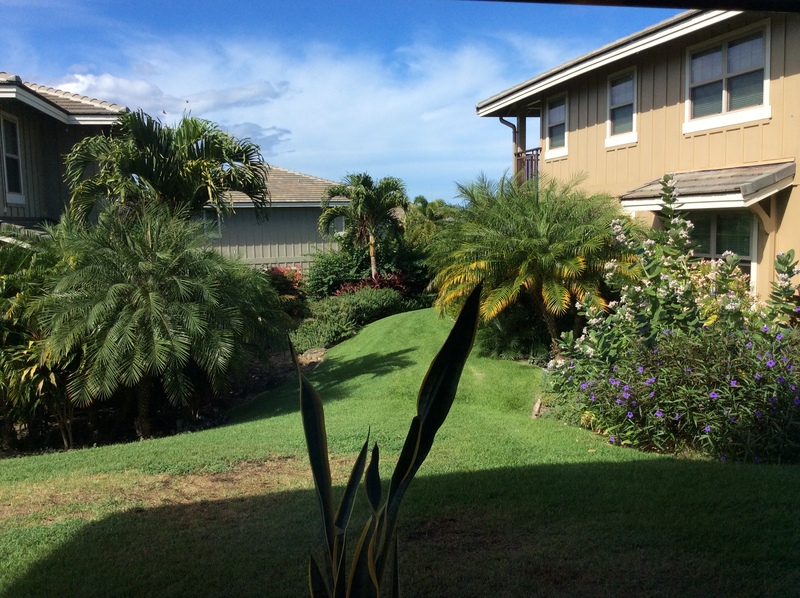 This upstairs unit is quite close to the ocean – a very short walk to the beautiful Keawakapu Beach. Basically, this set up is two master suites, one with plantation shutters that open to the living area. Thanks for reading! A hui hou. 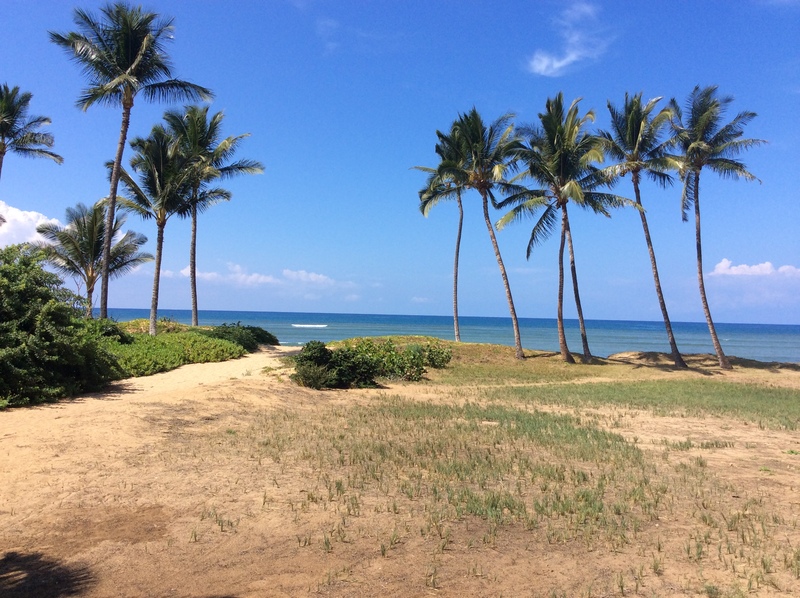 This entry was posted in Caravan, Uncategorized and tagged Caravan, Grand Champions, Keawakapu Beach, Maui Realtor's Caravan, Maui Vacation Condos, Vacation Rental Condos, Wailea, Wailea condos, Wailea Fairway Villas, Wailea Palms, Wailea Residential Condos on September 24, 2014 by nancyulin. 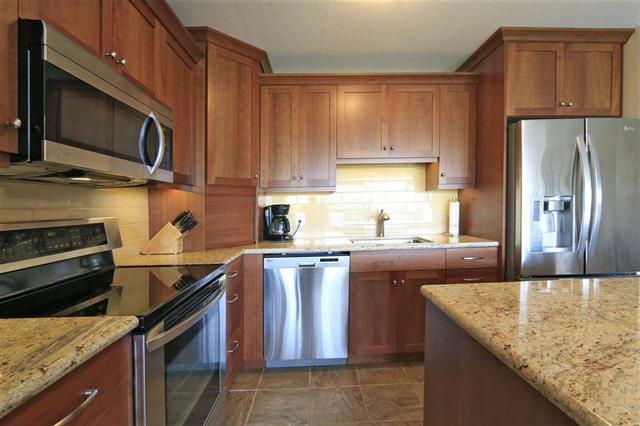 This is a gorgeous unit – and is being offered turn-key with the stylish staging furnishings. 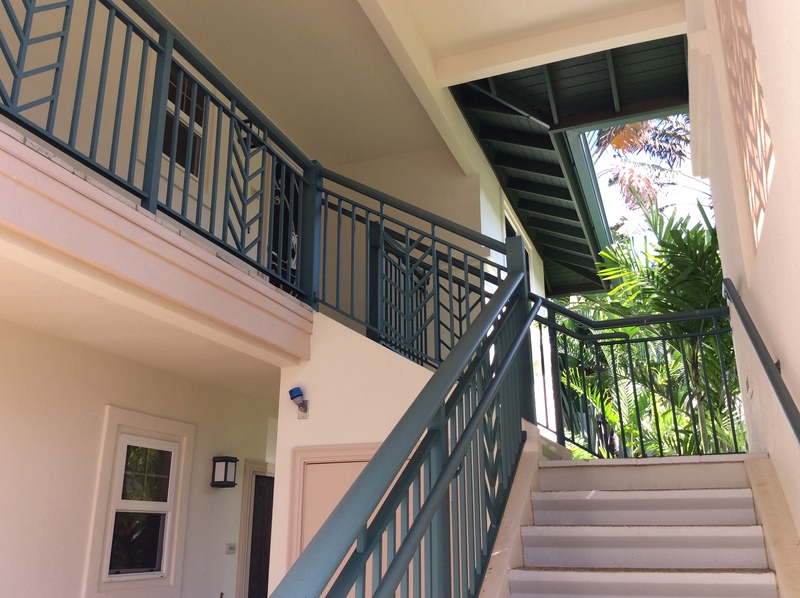 Located on the top row with a great ocean view – from upstairs or down – along a bougainvillea lined culvert, this unit has the master suite up and the additional upstairs bathroom has the nice walk-in shower. With 1796 sq. 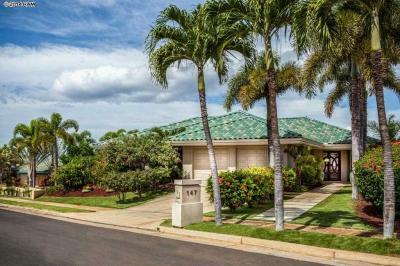 ft., a two car attached garage, 3 bedrooms and 2.5 baths – you will find this one of the best values in Wailea. 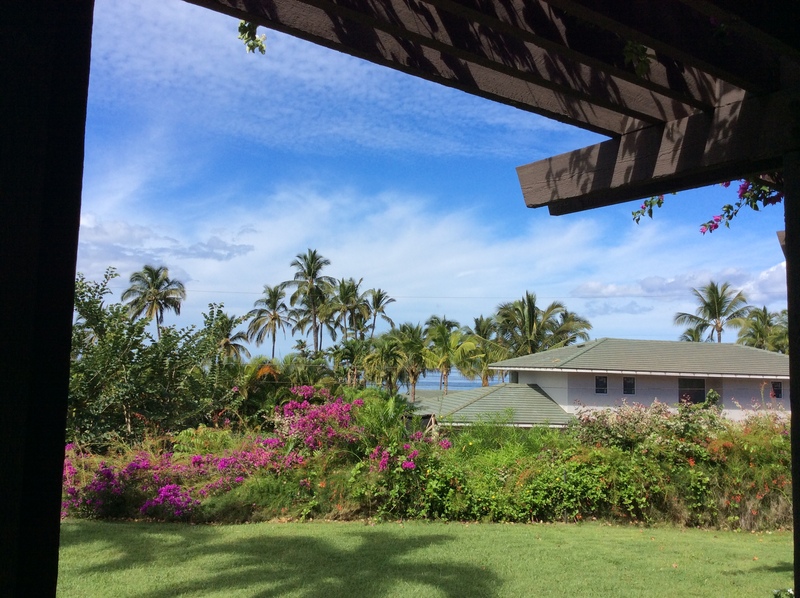 Did we mention the amazing pool, outdoor kitchen, gym, saunas, library….Kai Malu works as a primary residence, or a 2nd home, or an investment – Kai Malu works for anybody. The monthly maintenance fee is $966.67. This property does not allow vacation rentals. Long-term rentals only. 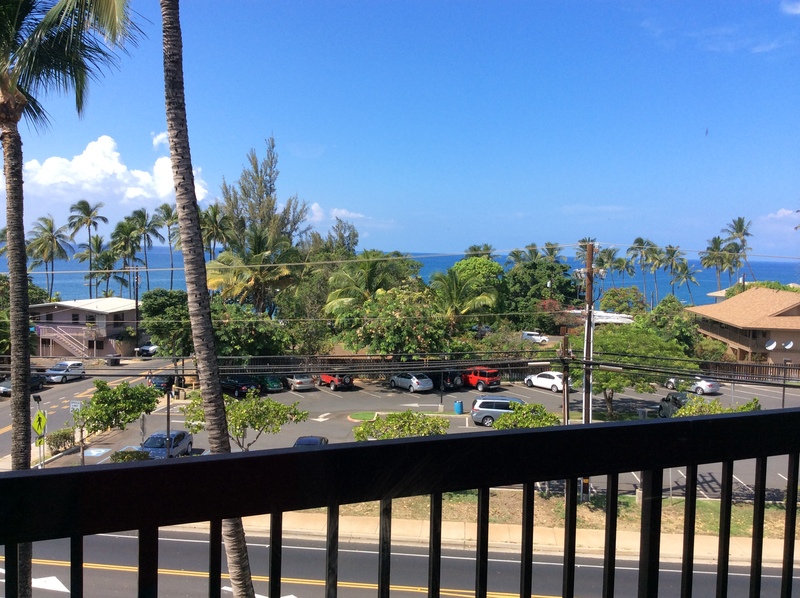 Up the stairs, turn to your right, walk through the door and imagine yourself looking at this spectacular ocean view every day…This is a 1 bedroom, 2 bathroom unit that has been exquisitely remodeled. 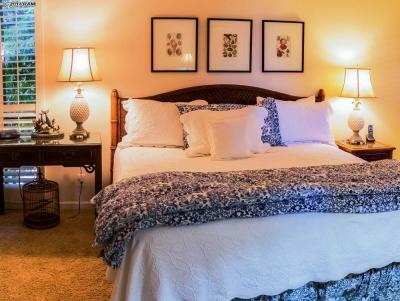 This property does allow vacation rentals – and this would be a very popular unit if it was in the rental pool, but the current owners have kept this for their personal use. 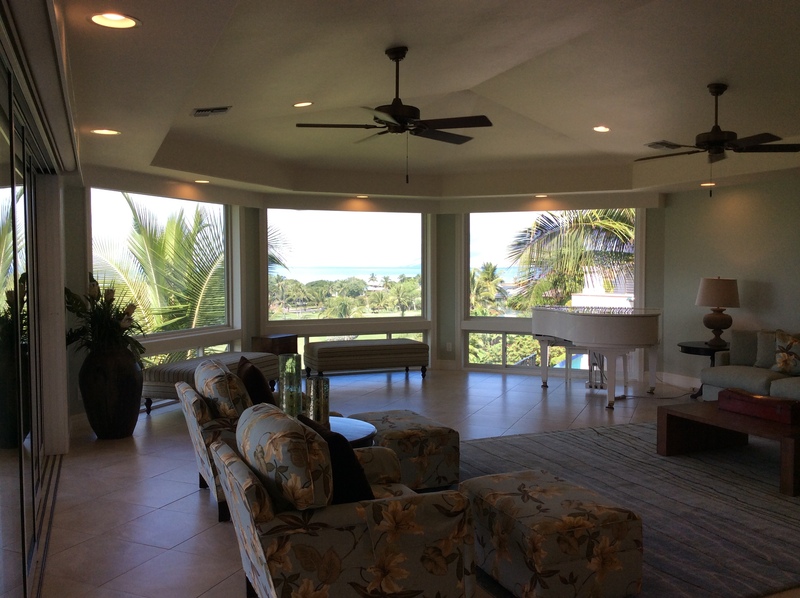 The bedroom area has enclosed the lanai and there are two built in desks for an office with an partial ocean view in this 945 sq. ft. unit. This is a beauty! 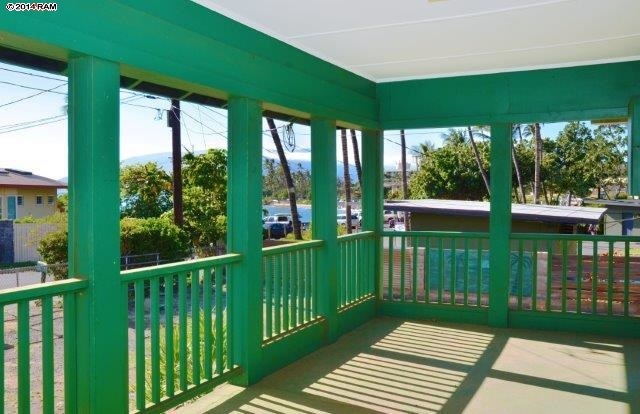 39-4 Makakehau Street, Hoolei #K4 Listed for $3,495,000. Hoolei is a unique set-up. 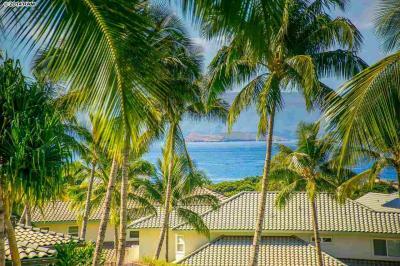 Located directly across the street from the Grand Wailea Hotel, Hoolei shares the amenities of the The Grand through a special program that the owners can purchase. 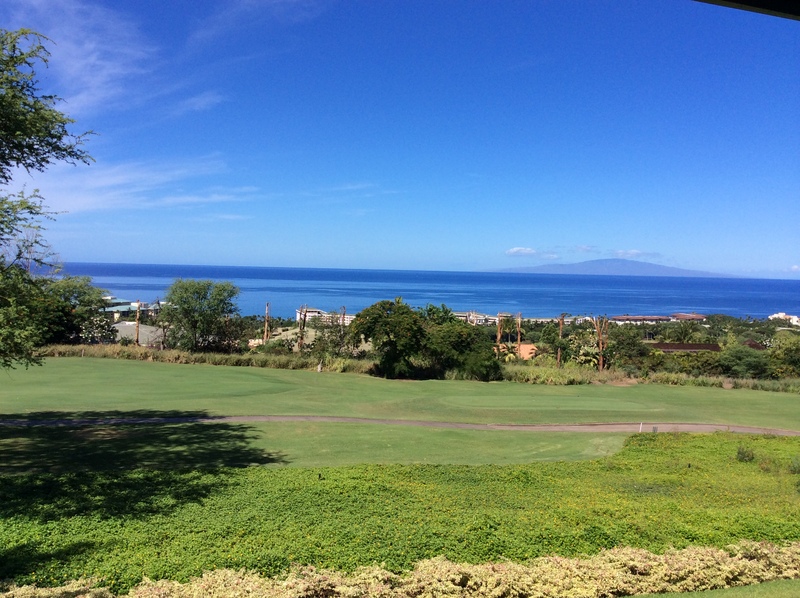 Please read my BLOG at Wailea Realty for details. 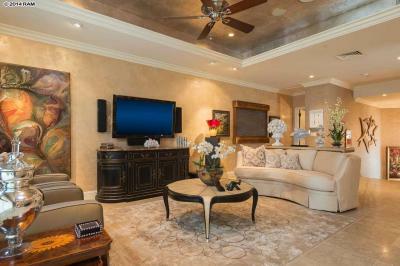 This unit is an ultra-luxurious 3 bedroom, 3.5 baths, 2619 sq ft, with a garage and private elevator. 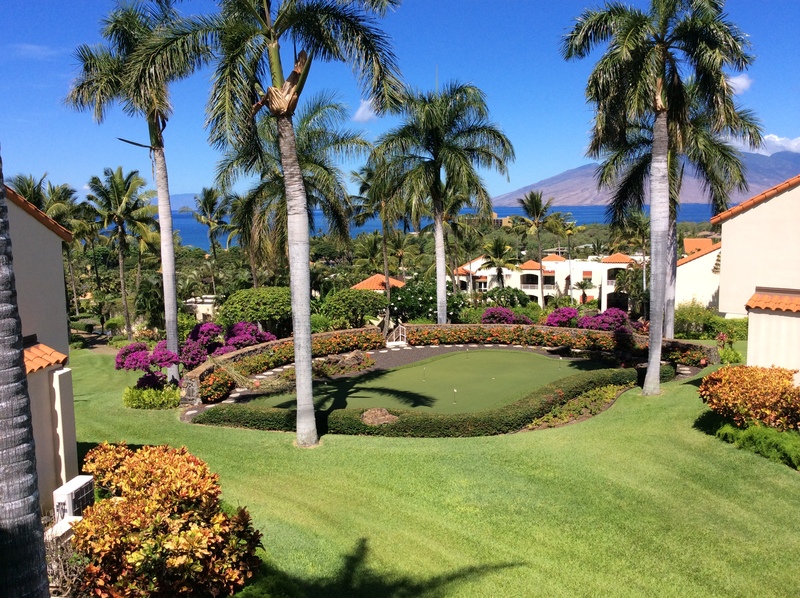 Enjoy the Wailea Lifestyle here. Monthly maintenance fee is $1439.51 and this property does allow vacation rentals. 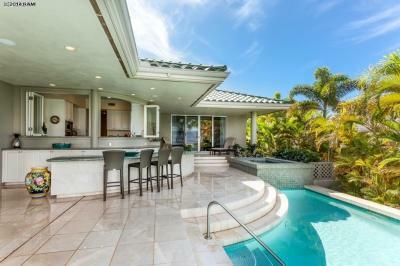 Located in the gated neighborhood of Wailea Kialoa, this elegant home is designed to enjoy and share life. A true chef’s kitchen opens into a great living space and the exterior walls fold away to allow for gracious indoor-outdoor living. 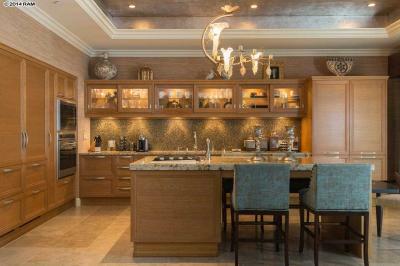 Luxury finishes on the 3.5 baths, two wine refrigerators, pool -with a waterfall, I promise you will be impressed with the attention to detail that this fine home offers. 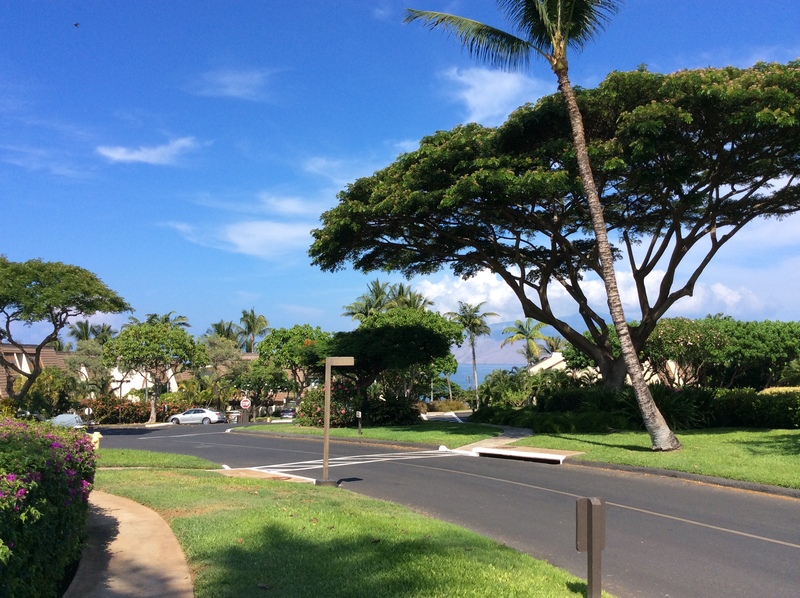 This entry was posted in Caravan, Uncategorized and tagged Caravan, Grand Wailea, Hoolei, Kai Malu, Maui Realtor's Caravan, Maui Vacation Condos, Wailea, Wailea condos, Wailea Ekahi, Wailea homes, Wailea Kialoa on September 2, 2014 by nancyulin.